Categories: Technology and Website Support & Maintenance. Tags: Support. Website support and maintenance is imperative to keep your website updated, getting issues identified and resolved fast and offering a seamless experience to your customers. Here’s a look at areas website support and maintenance can help you. You no longer need to worry in case there is a technical issue, bug or error affecting your website. A reliable website support and maintenance plan will ensure that any bugs and problems are fixed quickly before you even get to know about them. So, you can be assured of minimum downtimes and offer your customers a memorable browsing experience. It is important that customers are offered fresh and updated content when they visit your website. Website support and maintenance plans include updating content, blogs, social network sites as Facebook, Twitter and Google+ and more. New pages and forms are added to your website so that both customers and search engines have something new when they scrawl through every time. Website support plans often include content writing services. At Complete Cloud, we have a team of professional and experienced content writers who can create engaging and informative content for your website and blogs. It’s pointless having a website if your customers are unable to find it when they search online. Website support plans also include optimisation services. It is all about making your website search friendly so that it ranks higher on Google and other search engines. Everything from the structure to navigation and design is worked upon to ensure customers have a memorable browsing experience. A high grade website support plan provides constant monitoring of your website to scan for any possible issue and getting them fixed in minimum possible time. At Complete Cloud, we work hard to ensure that your website faces minimum downtime and offers a seamless experience to your customers, improving your sales. A good website maintenance service will provide you with the latest security patches to keep your website protected against malicious attackers and hijack attempts. Your database or data repository needs regular checks, optimisation and backups. 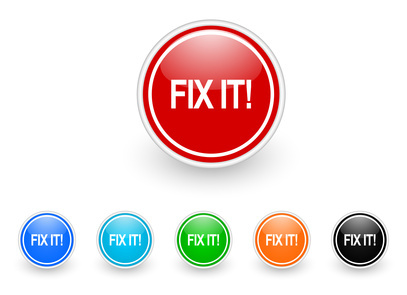 All these are taken care of by your website maintenance service provider. Your website maintenance plan ensures that latest software updates are installed. Data security is paramount for any business and an ideal website maintenance plan includes regular backup checks and website restoration tests. Make your website management a hassle free process with the right website support and maintenance plan. Talk to our experts for more!